Auto Insurance Q & A: What Happens If I Miss a Payment on My Car Insurance? Whether it just slipped your mind, you’ve had some logistical hiccups with your banking or you’re dealing with cash flow challenges, missing a payment can happen to the best of us. 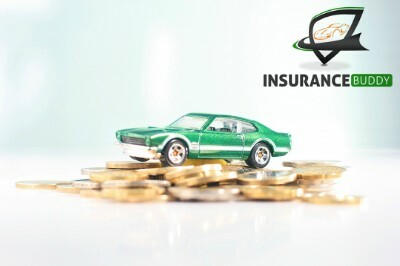 For some payments, this might not be a big deal, but a very common question we hear is from those worried about what the repercussions are when that missed payment is for your car insurance. Let’s just say that it’s good to be concerned about this situation. The insurance on your vehicle is hugely important and mandatory for its use. And car insurance companies take missed payments very seriously. As scary as this sounds, it is a possibility that if you miss a payment, your car insurance will be cancelled. The insurer is required to notify you and send a warning if a payment has been missed. In Ontario, you generally have around 15 days to make that missed payment before cancellation. It’s important to note that if this is not your first missed payment and you have a history of non-payment, this can get you into trouble – the insurer may decide that they are better off cancelling your policy. They may not be willing to demonstrate any further leniency. A history of non-payment can also put you in the high risk auto insurance category – a default in payment will show on your record. If you have been cancelled for non-payment, you can pretty much kiss cheap car insurance goodbye. Some providers may even refuse to insure you based on a history of non-payment. So how long do you have to pay? In Ontario, the Auto Insurance Consumers’ Bill of Rights is very clear on missed payments due to insufficient funds: “You have the right to keep your policy in place if you pay your premium within 30 days following one or two non-sufficient fund (NSF) situations.” Click here to view the bill of rights and get more information on your rights as a consumer under the Insurance Act. But otherwise generally it is stipulated that premiums must be paid in a timely fashion. Remember, different insurance companies have different rules and it is to their discretion how they handle missed payments, including how many are allowed and how late a payment is allowed to be. And again, if this is more than just a one time thing, you could face serious consequences. Be sure that you fully understand your policy and how missed payments are dealt with. ~ Higher car insurance premiums, especially if you have been placed in the high risk driver category. ~ The insurance company may no longer offer you monthly payment by installments and may instead require a lump sum payment for the year. ~ You could be charged a late fee. Again, this all depends on the insurers policy. ~ You could also affect more than just your record with car insurance companies. If you have chronically missed car insurance payments and your dues have been sent to collections, this could negatively affect your credit score in general. Want to get clarification on how your car insurance company handles missed payments? Need to speak to an expert to understand how a history of non-payments has affected your car insurance rates? Our team is here to help with all your car insurance questions. Get in touch with us today, or click here if you’re looking for a quote.